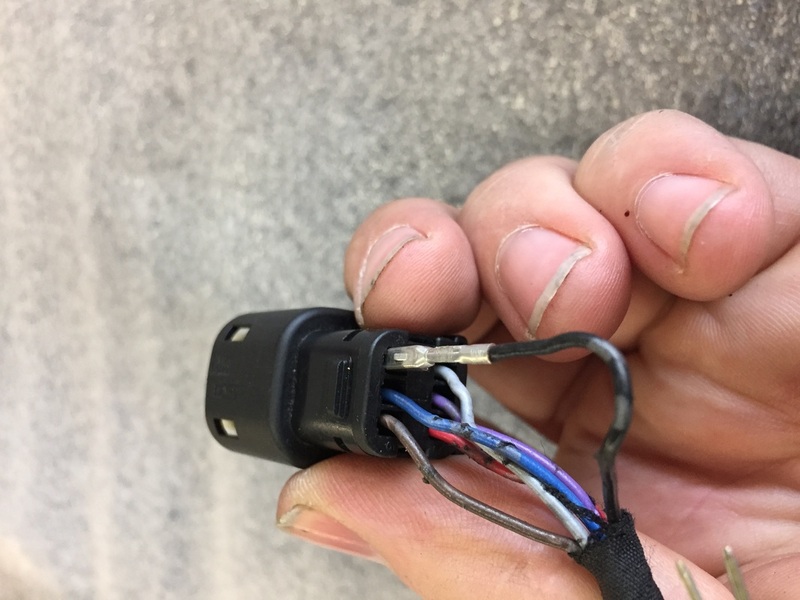 Here are the simple instructions on how to disassemble your throttle by wire plug so you can pull the wires through the handle bars. 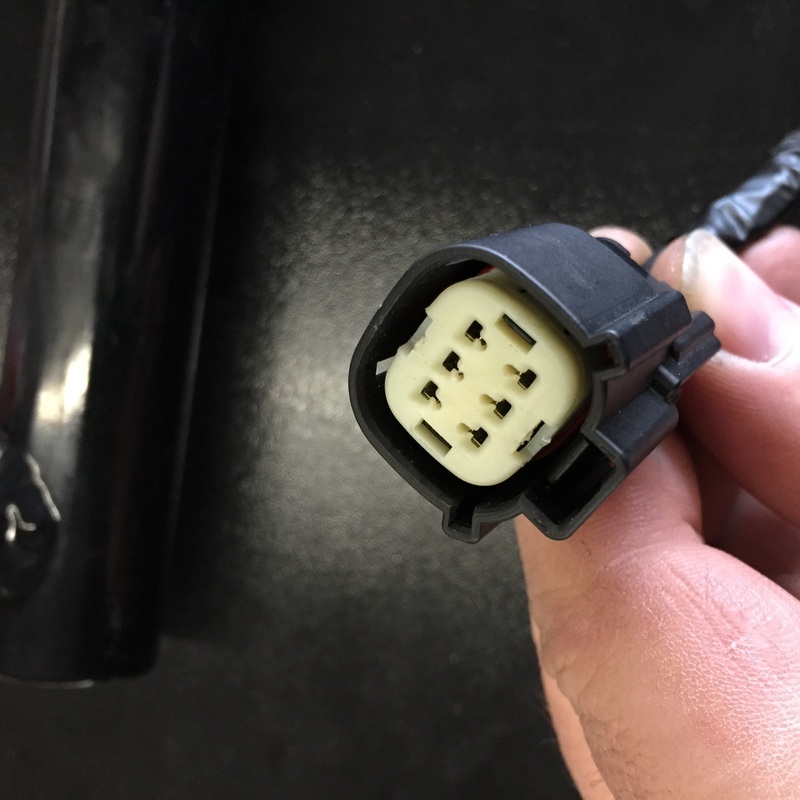 There is no reason to ever cut and splice these wires, the plug is very easy to take off, allowing you to pull the wires through your new handle bars and put the factory plug back on. 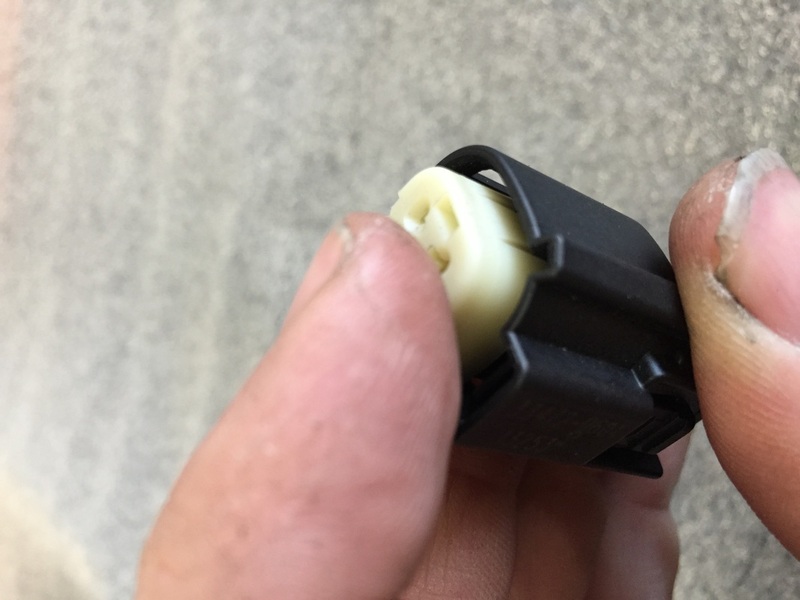 Here is the plug as it looks when you first unplug it. This is from a 2015, earlier years look slightly different but the procedure is the same. Start by taking a picture of where each wire goes for reference. Next you will need to disconnect the pins. 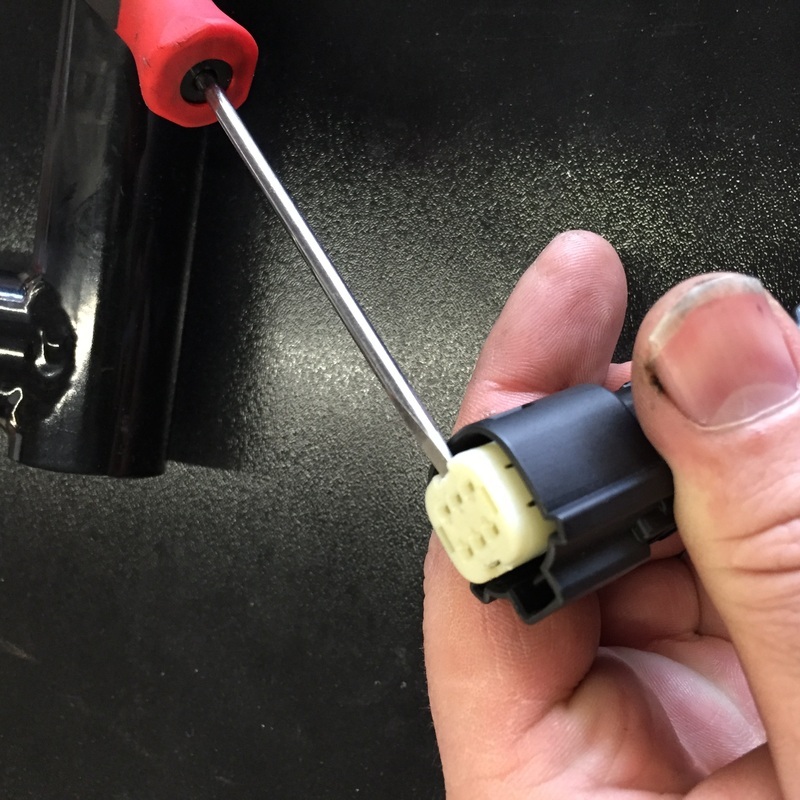 Shown here is a disconnect tool that you use by inserting it into the round hole next to the pin hole. Press it down until you here a "click". At this point you have disconnected the pin. Pull the wire out of the plug at this point. 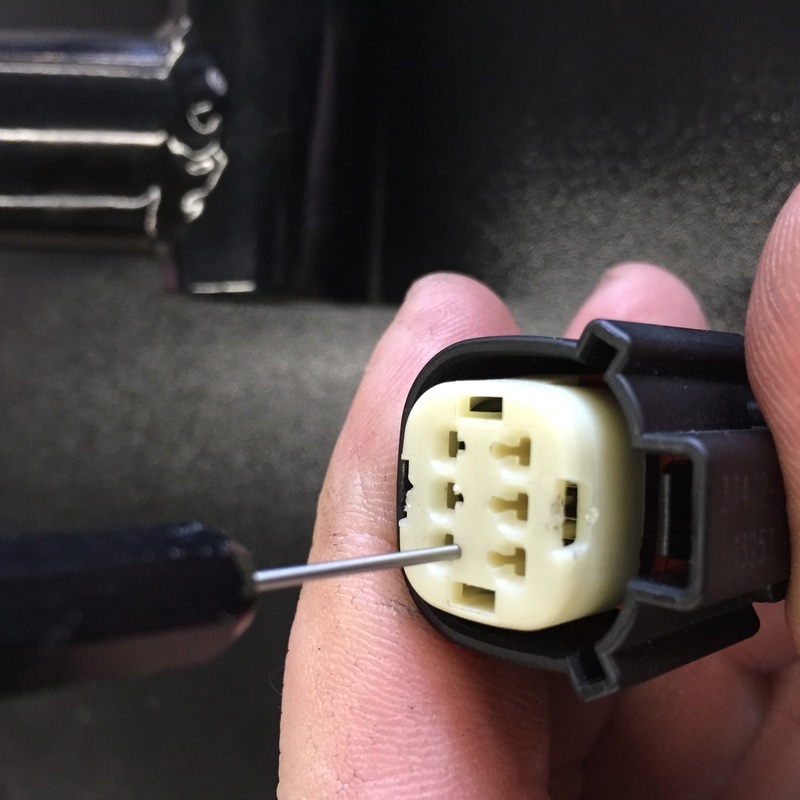 You have to pull the wire out while pressing on the tool. If you do not own or wish to purchase this tool you can use another method. Some guys straighten out a heavy paper clip. I have used the shank of a small drill bit in a pinch. However, the right tool for the job always makes things easier. Here is a wire on its way out of the plug. Be sure to note which way the pins go, as they can only go one way. Remove one wire at a time, moving the tool to the next wire one by one. When you are ready to put it back together simple put the wires back in where they came out and push the white cap back down to lock them in place. You're done!